Grigory Sedukh is the World�s first Violin-Piccolo soloist. Violin-Piccolo is a unique instrument and is named a �treble violin� by its American lutier and acoustician Carleen M. Hutchins. This violin-piccolo of a new kind is a result of Mrs. Hutchins� 30 year long research, based on study of string instruments made before 18th century. Violin-Piccolo is a new member of string family, although Violin-Piccolo can utilize traditional technique of violin playing and it represents some of constructional features of regular string instrument, like those of baroque violin-piccolo tuned a third higher than a modern violin. Due to small size of Violin-Piccolo (compared to an antique crochet or pocket violins) and unusual proportions of parts made differently for acoustical purposes, one needs to find a completely new technical approach to play this instrument and to adapt to the way it carries sounds. Beside being tuned an octave higher, defining features of this wonderful instrument include unique timbre that combines a blend of violin, flute and oboe timbre qualities, and it has an unusually powerful volume of sound in spite of its delicate construction size. To many listeners Violin-Piccolo sound has been a reminiscent of a bird singing and human voice elements. Violin-Piccolo was presented to Mr. Sedukh in 1995. 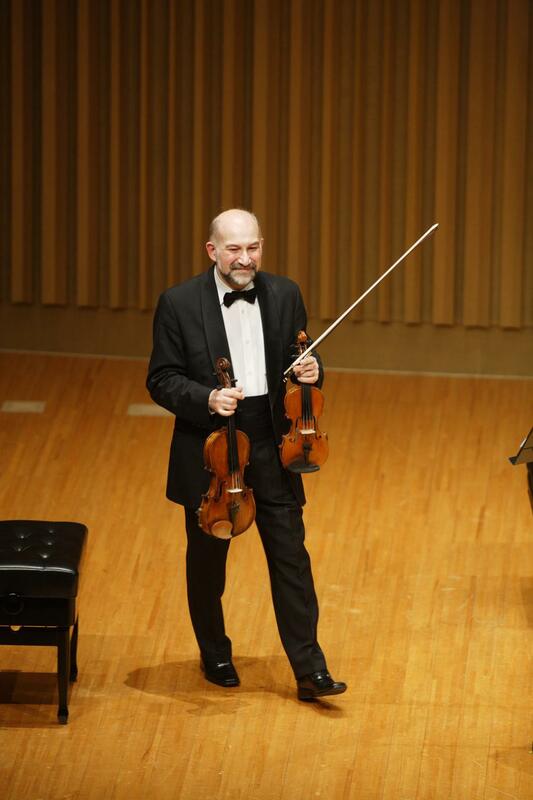 Since than he has been a pioneer and passionate promoter of Violin-Piccolo playing. Mr. Sedukh and his beloved instrument are subject to never fading interest of listeners and scientists, numerous reviews and articles, and concert engagements all over the world. Mr. Sedukh�s broad choice of repertoire includes over three hundred works from baroque pieces to music of 21st century. Universality of Violin-Piccolo sound qualities and excellence of construction make this instrument well suited toward musical life of 21st century.